The launch of ICL’s new Seeka range of beneficial nematodes in the UK is the catalyst behind the company’s new one-stop-shop for Black Vine Weevil control - offering a programmed IPM approach to controlling this potentially devastating pest. Supplementing ICL’s conventional chemical pesticides range, Vine Weevil Seeka contains Heterorhabditis bacteriophora beneficial nematodes (85%) and is recommended for use in UK soil or container-grown crops when soil temperatures are between 12°C - 30°C for at least two weeks after application. “Vine Weevil Seeka is part of our new programmed IPM approach to vine weevil control featuring advice on cultural controls, plus beneficial nematode and compatible chemical controls such as Exemptor,” explains ICL’s sales development manager Martin Donnelly. “Customers entering in to a contract with ICL will be provided with access to meaningful soil temperature data throughout the year. Temperature is critical to success with beneficial nematode controls. Through a network of temperature loggers on nurseries throughout the UK, our customers will have access to robust, real time temperature data. Supported by our nationwide team of BASIS qualified technical area sales managers, growers will know when the time is right to switch from a low temperature nematode control to the more economical Vine Weevil Seeka. To maximise the effectiveness of the Seeka range, ICL has launched Transporter – a blend of surfactants that optimises water, and hence nematode, distribution in the growing media. 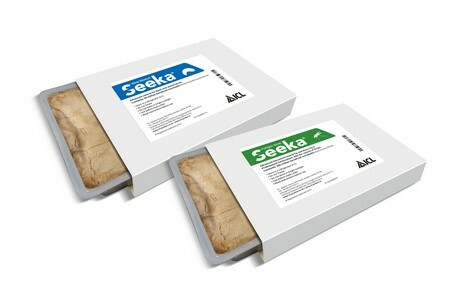 The new Seeka range for the UK also includes Fungus Gnat Seeka. Containing Steinernema feltiae, it provides control of fungus gnats (Sciaridae spp) as well as Western Flower Thrips.